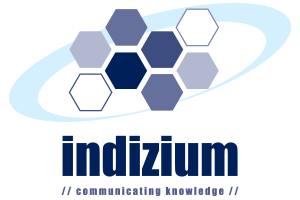 By leveraging on leading edge technologies and a proven methodology, Indizium helps unleash the power of communications and knowledge for organizations including enterprises, medical and healthcare organizations and educational institutions. Today Indizium is the premier consulting partner that organizations call upon to conceptualize, design and implement solutions such as telemedicine, learning solutions including distance learning and electronic learning as well as state-of-the-art communications and conferencing in the South East Asia region focusing especially in Malaysia, Singapore and Indonesia. The company also provides consulting expertise in network computing, video conferencing, telecommunications solutions and the latest in device technologies. To integrate & connect all hospitals/ universities with centres of excellence and to facilitate a consistent access to treatment, information and training. INDIZIUM provides the medical industry with total telemedicine solutions that consider specific requirements of remote medicine. Founded to provide innovative telemedicine technology to the Malaysian health care industry, the company focuses its products and services towards collaborative relationships with the medical professionals to address patient’s needs. The face of education is changing and INDIZIUM’s comprehensive suite of software and hardware applications have been specifically designed for the educational campus. Meeting issues such as security, student tracking and control, as well as facilities management, the INDIZIUM suite is a “campus in a box” which facilitates central control and access to student, parent, teacher and class information. INDIZIUM’s learning solutions are designed to improve the performance of an organization through ongoing learning. At the same time, we recognize that the business agenda must often come first and so our solutions empower workers to acquire these new skills and knowledge at their own pace and at a time that is convenient to the organisation as a whole.